In Divine Beauty, he describes this voice as a voice of compassion and one that is not absorbed with itself. “The voice of compassion is not absorbed with itself. It is not a voice intent on its own satisfaction or affirmation; rather it is imbued with understanding, forgiveness and healing. This voice dwells within every human heart. 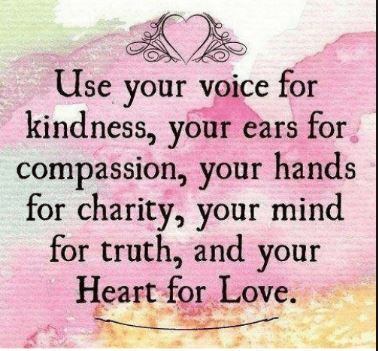 Ultimately it is the voice of the soul. Part of the joy in developing a spiritual life is the discovery of this beautiful gift that you perhaps never suspected you had. When you take the time to draw on your listening-imagination you will begin to hear this gentle voice at the core of life. It is deeper and surer that an all the other voices of disappointment, unease, self criticism and bleakness. All holiness is about learning to hear the voice of your own soul. It is always there and the more deeply you learn to listen the greater the surprises and discoveries that will unfold. To enter into the gentleness of your own soul changes the tone and quality of you life. Your life is no longer consumed by hunger for the next event, experience or achievement. You learn to come down from the treadmill and walk on the earth. You gain a new respect of yourself and others and you learn to see how wonderfully precious this one life is. You begin to see through the enchanting veils of illusion that you had taken for reality. You no longer squander yourself on things and situations that deplete your essence. You know that your true source is not outside you. Your soul is your there source and a new energy and passion awakened in you. The soul dwells where beauty lives”. In the Swiss monastery of Einsiedeln there is a Black Madonna. 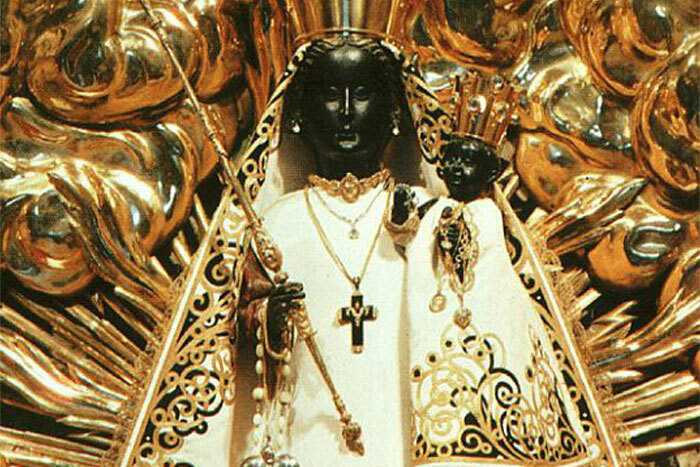 The Black Madonna may have emerged as a compensation for the Madonna who became too white. Catholic tradition made Mary into a white figure of purity and perfection and dissociated her from the darker side of life. The Black Madonnas of Europe have long been associated with the darker side of life: illness, loss of loved ones, childbearing, woman’s sufferings, shipwrecks, prisoners. When the soldiers of the French Revolution stormed Einsiedeln, they planned to destroy the Black Madonna, which they considered to be a cult of superstition. To protect it, the villagers buried it then a farmer smuggled it out of Switzerland. It was restored in Austria. In scraping off the soot the artist found that its original colour was not black. He painted the Madonna and child the colour of flesh. The Madonna was displayed to the citizens of Bludenz before being restored to Einsiedeln. They were deeply disappointed that it no longer corresponded to the Black Madonna that they had known in Einsiedeln. The painter had to paint it black. Nobody has dared change it since then. 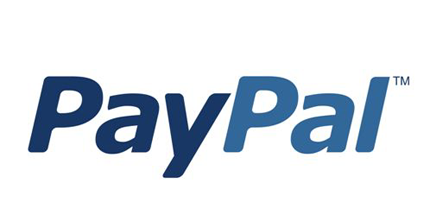 In 1996 John Bargh, a social psychologist from New York University tested what is known as the ideomotor effect, whereby a thought or mental image brings about a seemingly “reflexive” or automatic response. In an experiment he gave groups of young people word flash cards and asked them to construct simple sentences. Buried within one of the groups’ cards were word synonyms for age – bald, wrinkled, arthritis, Florida, forgetful. When they had completed their sentences the groups were asked to walk down a corridor and sign out and then the real experiment began. Their progress down the corridor was timed – and something unusual happened. Those who had seen words suggesting age walked more slowly. Just the merest suggestion of age at an unconscious level, led to a reflexive response – made them display the behaviour of the elderly. It is called the Florida effect. It indicates the way language can influence our behaviour and that maybe, we are not always acting as consciously as we think. There is a lot of talk about resilience these days. Resilience is the ability to deal with adversity – how we respond to things when they go wrong. We react in different ways. Martin Seligman has identified three ways we reduce resilience. I personalise the event – blame myself – it is all my fault. The issue of personalisation. I believe that the event pervades every aspects of my life. The issue of pervasiveness. This loop play in our minds – it is my fault that this is awful, my whole life is awful and it is always going to be awful. 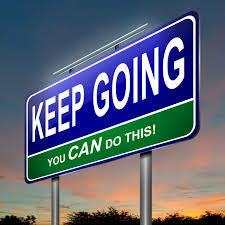 There are numerous studies which show that we can improve our resilience – the amount is not fixed. One way to can do this is to realise that negative events are often not personal not entirely my fault, nor are they pervasive, affecting every aspect of my life and are not permanent – they don’t last forever. Avoiding these reactions to hard situations builds our resilience and we cope better and this helps to avoid depression. By learning about these 3P’s, teachers can become more effective in the classroom and insurance salespeople stop taking rejections personally and sold twice as much and stayed in the job twice as long as their colleagues. “We don’t laugh because we are happy, we are happy because we laugh”. William James. In Ernest Kurtz’ book, The Spirituality of Imperfection , he points out that the words “human,” “humility,” and “humour” all share a common Indo-European root, ghôm, best translated by the English word “humus.” Humus is vegetable matter reduced to its most basic form. In our evolution, humour was a signal that a situation is safe. 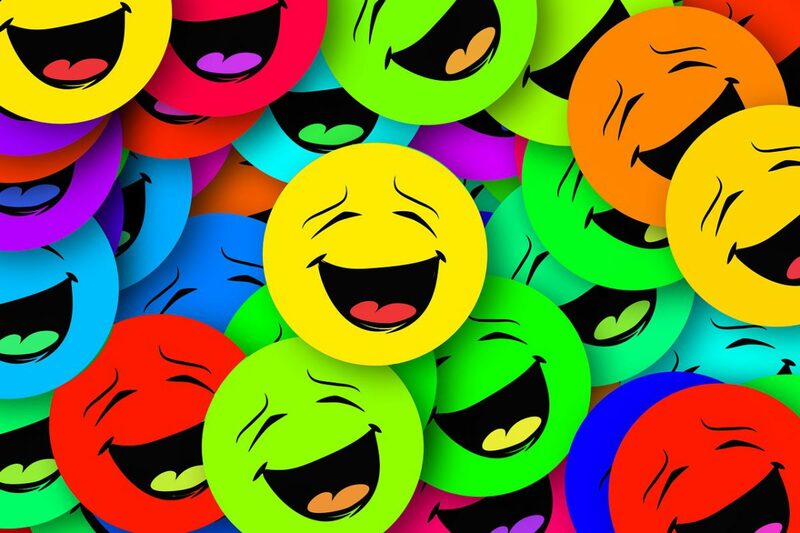 Laughter breaks tension by making stressful situations less threatening. Jokes are often heard at funeral because gallows humour helps us deal with sadness. Humour brings us down to earth and makes us more resilient- patients recovering from surgery who watch comedies request twenty five percent less pain medication. Soldiers who make jokes deal better with stress. People who laugh naturally six months after losing a spouse cope better. Couples who laugh together are more likely to stay married. It also lowers our heart rate and relaxes our muscles! In the end our presence is all we have – the quality of that presence needs to be minded. In our busy daily lives it can be diluted. We are there but not there – distracted, maybe by technology – externally present, miles away- our minds secretly elsewhere. John O’Donohue, his book Divine Beauty, has a lovely piece on the power of our presence which is particularly pertinent for parents and teachers. 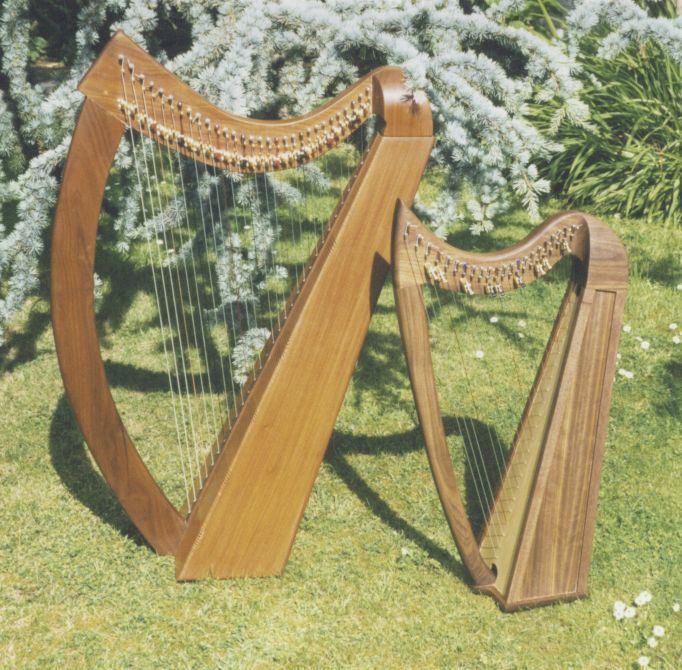 “It has been shown, that when there are two harps tuned to the same frequency in a room, one a large harp and the other smaller, if a chord is struck in the bigger harp it fills and infuses the little harp with the grandeur and beauty of its resonance and brings it into tuneful harmony. Then the little harp sounds out its own tune in its own voice. This is one of the unnoticed ways in which a child learns to become him or herself. Thought For The Week – Where are you hiding? “Where are you hiding” the Lord enquires of Adam and Eve. the garden in the cool of the day”. “But where were you hiding”? “We hid among the trees”, they said. Where are YOU hiding? – where am I hiding? lost in busyness, drowned in work. Why am I hiding? – because beneath these covers, I am naked and afraid. the cooing of the dove is heard in our land. Come then my lovely one, come…..
One of the greatest issues facing us, is our profound and painful sense of disconnection – we have become disconnected from ourselves, from our bodies, our interior world, disconnected from nature, isolated from our neighbour and from God. This is leading us into more and more destructive behaviour patterns. I once heard the saying, “if you want to be happy, get connected.” There is a truth in that statement. D.H Lawrence, in Lady Chatterley’s Lover, recognized the serious consequences of being cut off from nature and from our own dark, secret root system. We have to get back in contact with our secret root system; according to Lawrence we need to make a ‘detour’ back toward the primal state, in order to revitalize and invigorate civilization, to recover the mysteries of nature and the sacredness of the body. Get reconnected. Our lack of organic connection to the whole of life takes its toll. Our inner ecology, the ecology of the soul can be unbalanced and even destroyed by the disconnection we experience. 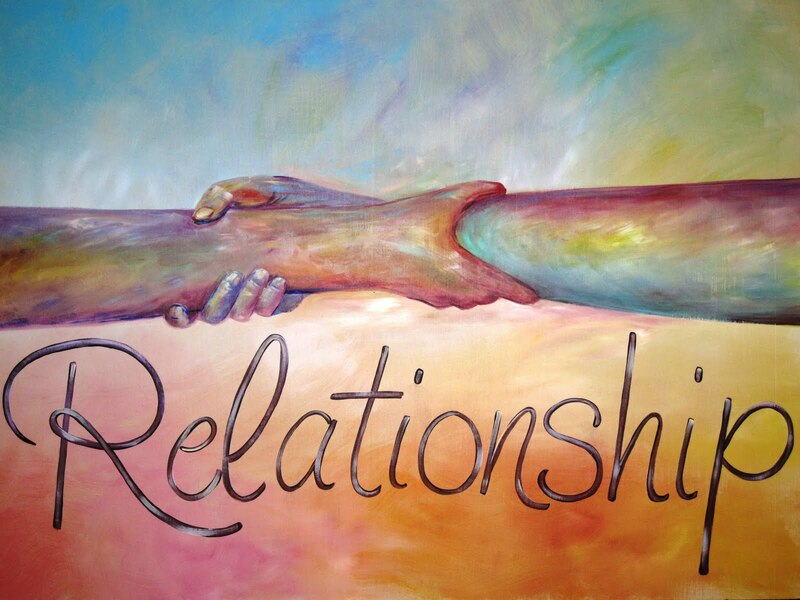 We live in a relational universe – relationships are how life is organised at every level, from the simplest organism to the most complex – we are conceived in relationship, formed by relationships and sustained by relationships. So relationships are not an option – they are at the centre of who I am. We often delude ourselves into thinking we are independent, autonomous and self-sufficient and this vision is, as Einstein suggested, an ‘optical illusion’ of our consciousness. The reason we attempt to side-step this reality is because relationships lie in the realm of mystery and and you are not in control. Relationships are messy, challenging, sometimes fun, other times frustrating. But they are what we are – the stage on which we live our lives. If this is true of how we are in the world, it is even truer of God and the Sacred Trinity. But again we want to control God, making Him into a self-sufficient, autonomous, distant person and so try to avoid the ‘messy mystery’ of a relationship – avoiding the humility and trust demanded by being in relationship. 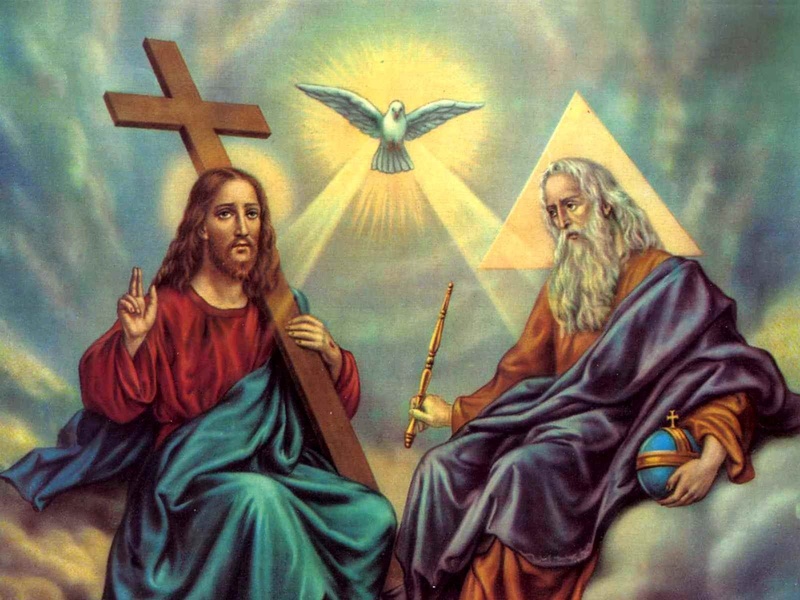 Last Sunday was Trinity Sunday – this is a time when we are invited to open our hearts and minds to the reality of the ‘divine dance’ that is the Trinity. In two books I am reading at the moment, The Divine Dance, by Richard Rohr and Religion as Metaphor, by David Tacey they make a similar point about Jesus, the second person of the Trinity. We have ‘separated Jesus from the Trinity’ and ‘locked divinity’ into this one person. Tacey suggests that, “we cannot afford to lock divinity away in this single figure (Jesus) or imagine that the incarnation of God was once-only event, single, absolute and not to be repeated”. Jesus was separated out in the spirituality we got – he was the suffering servant and our moral exemplar -someone we could imitate. The Spirit was never mentioned except in hushed tones and as the Holy Ghost and he behaved accordingly. But with the Holy Spirit, ………the Gospel is a living force, the Church is a communion in the life of the Trinity, authority is a service that sets people free….. the liturgy is memory and anticipation and the labour of Christians is divinised.